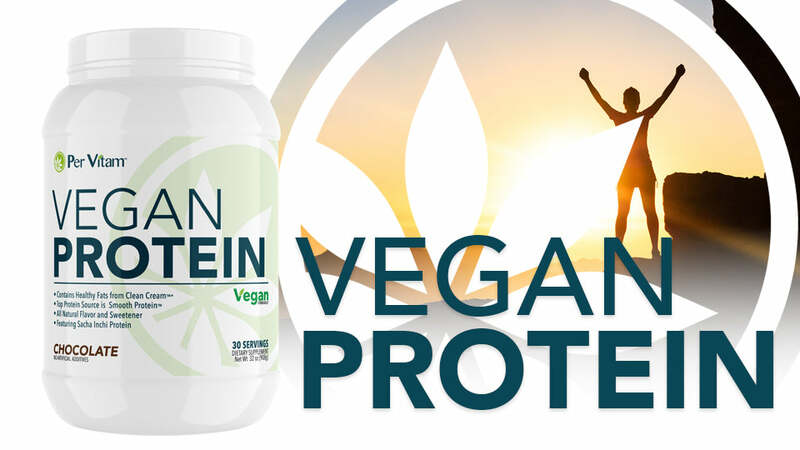 WHAT IS PER VITAM VEGAN PROTEIN? Harvested from the rainforest of southeast Asia, Sacha Inchi is an incredible plant-based protein that’s an extreme rarity -- it’s a complete protein. Unlike many other vegan protein options that lack one or two of the vital essential amino acids, Sacha Inchi provides avery high total amino acid count, ideal for those vegan athletes looking to build muscle. What’s really amazing about this plant-based protein is its digestibility rating. As you’re aware, the quality of a protein is defined by its Protein Digestibility Corrected Amino Acid Score (PDCAAS), with whey protein scoring a perfect 1.0.. Sacha Inchi scores an impressive 0.87, which means it’s an extremely high quality protein, readily taken up by the body. Pea protein offers an exceptional nutritional profile that’s ideal for vegans and non-vegans alike. It is hypoallergenic and provides a complete protein, making it ideal for any athlete looking to build muscle. Compared to whey protein (the “king” of proteins), pea proteins are just as effective as whey on increasing muscle. Another area where pea protein shines is in its slow digestion, rivaling that of casein. This helps keep you full until your next meal. Finally, pea protein also supports cardiovascular health as it lowers cholesterol and triglycerides as well as blood pressure. Smooth Protein is an incredibly soluble, smooth-textured brown rice protein. It’s hypoallergenic and is an ideal inclusion in any vegan protein powder. Brown rice protein has a moderate digestion time, falling somewhere between whey (fast) and casein (slow). This means you have a steady infusion of amino acids into your blood to grow and repair muscle tissue. Vegan proteins are notorious for the earthy, grass-like taste and texture. To solve this problem and provide a protein that’s just as palate pleasing as any animal-based protein, Per Vitam includes Clean Cream, a plant-based creamer alternative developed by Compound Solutions. Clean Cream uses heart-healthy fats derived from sunflower seeds to a rich taste and creamy texture to each serving of Per Vitam Vegan Protein. 1. Joy JM, Lowery RP, Wilson JM, et al. The effects of 8 weeks of whey or rice protein supplementation on body composition and exercise performance. Nutr J. 2013;12(1):86. doi:10.1186/1475-2891-12-86. 3. Quinteros MF, Vilcacundo Chamorro R, Carpio C, Carrillo W. Digestibility and Anti-Inflammatory Activity in Vitro of Sacha Inchi (Plukenetia Volubilis L.) Proteins. Vol 9.; 2016.